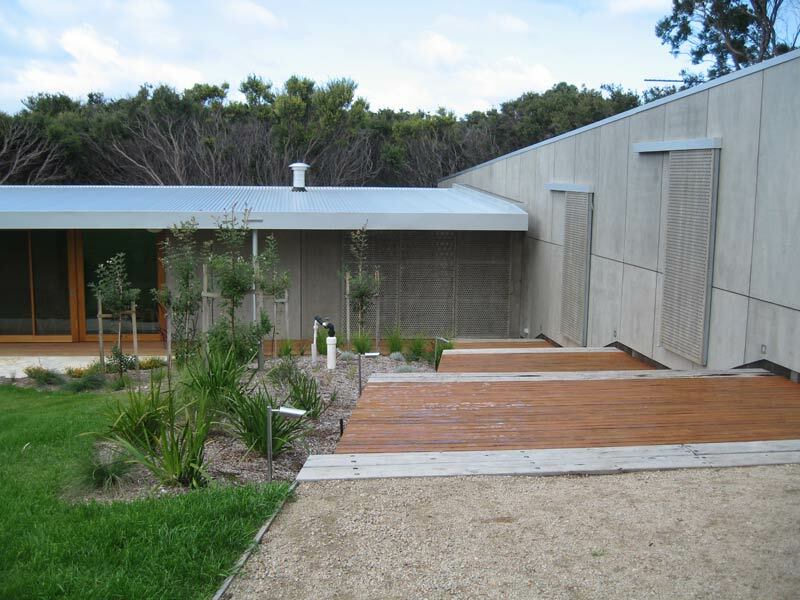 rwa was engaged to work on a holiday property in Blairgowrie. 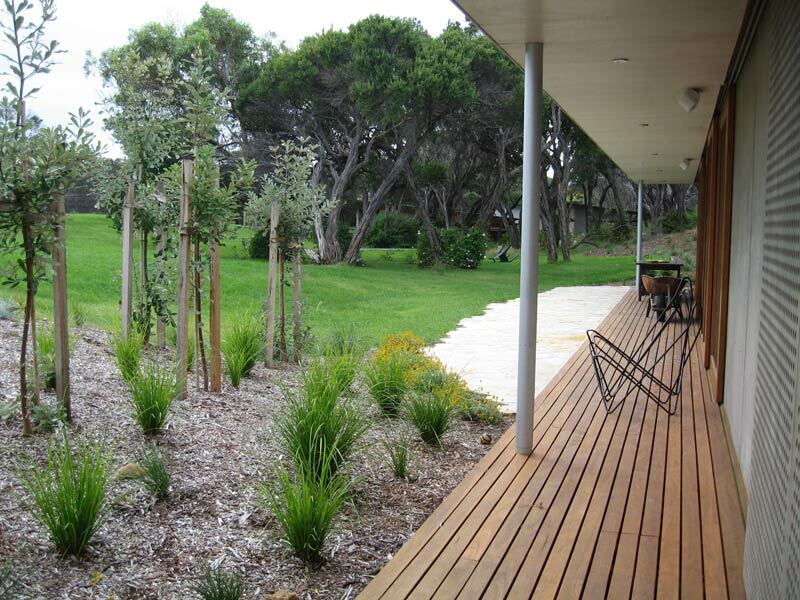 The house was sited within the existing hollow of the coast dune topology. 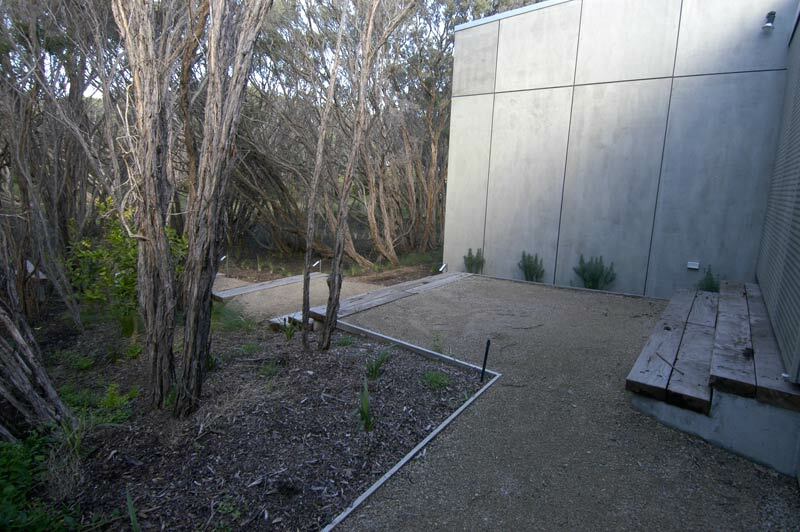 The perimeter, in particular the east site of the site is covered with Tea Tree vegetation. 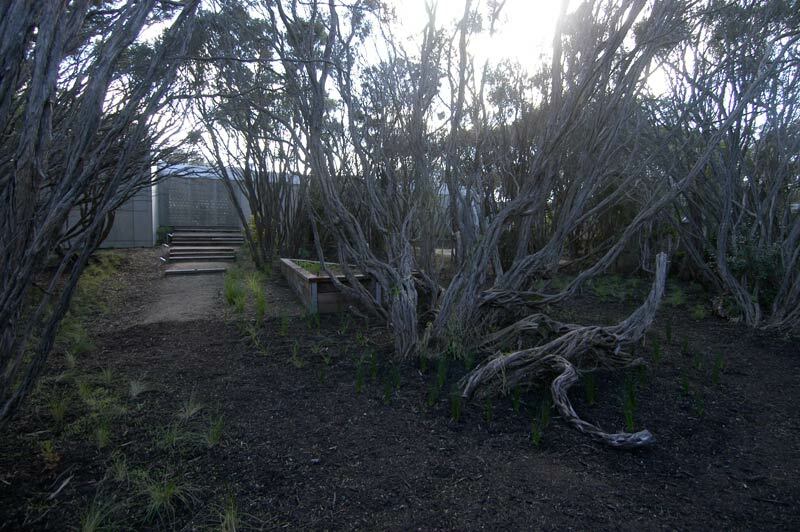 The house was protected to the south and east by remnant Tea Tree vegetation. 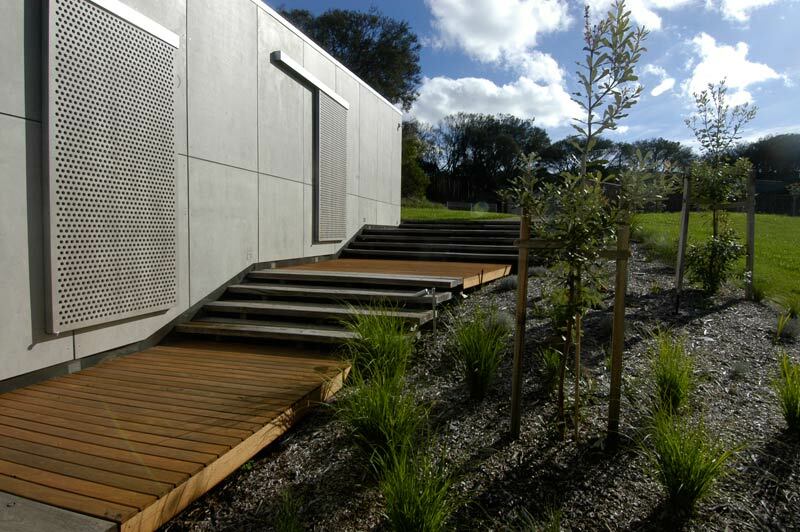 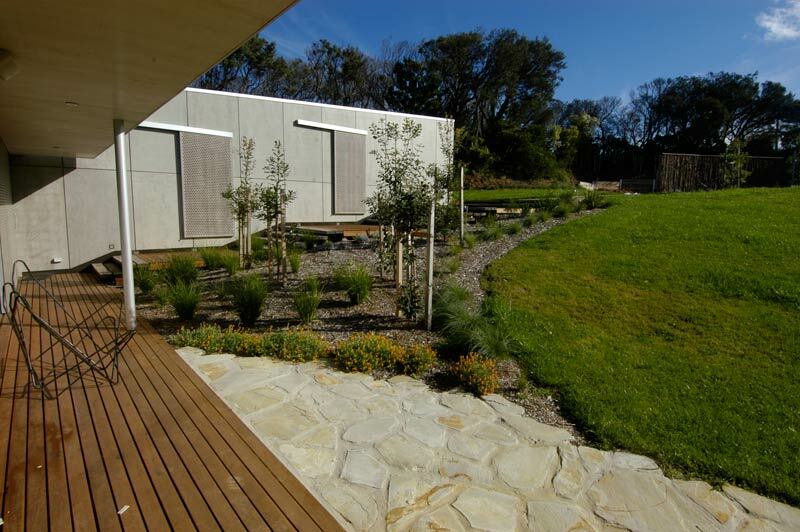 The site design encompassed a pool, a stepped deck as spill out from the bedroom wing, and a sandstone terrace for entertainment. 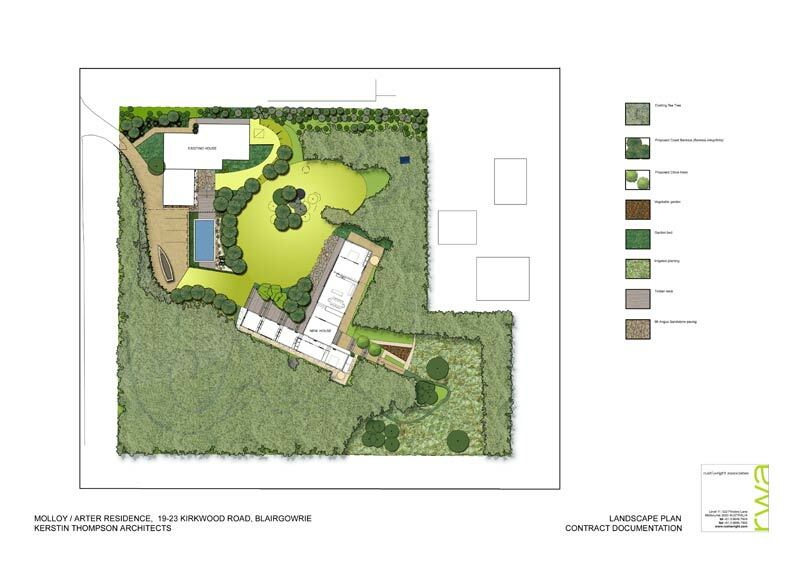 Gentle manipulation of the earthworks between the existing house and the new house enhanced the existing grass dish area between the pool and house. 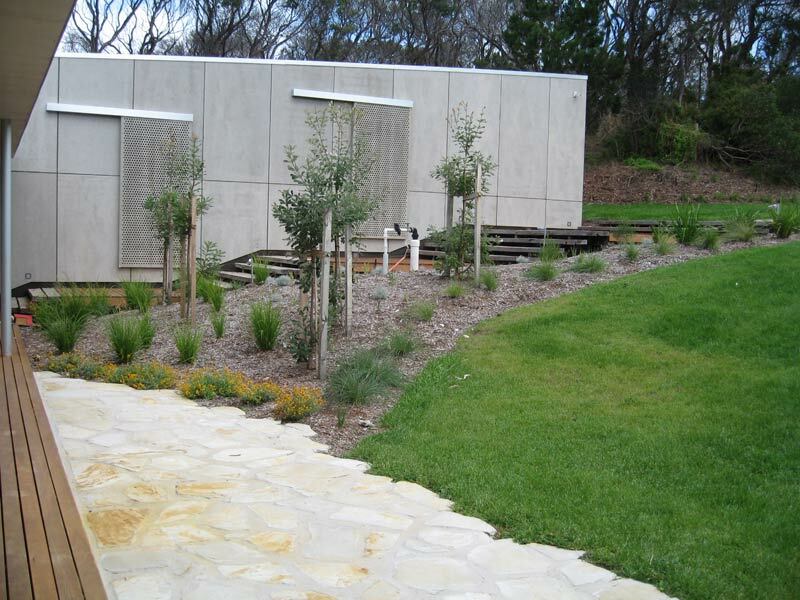 The garden beds are predominantly planted with indigenous trees and plants. 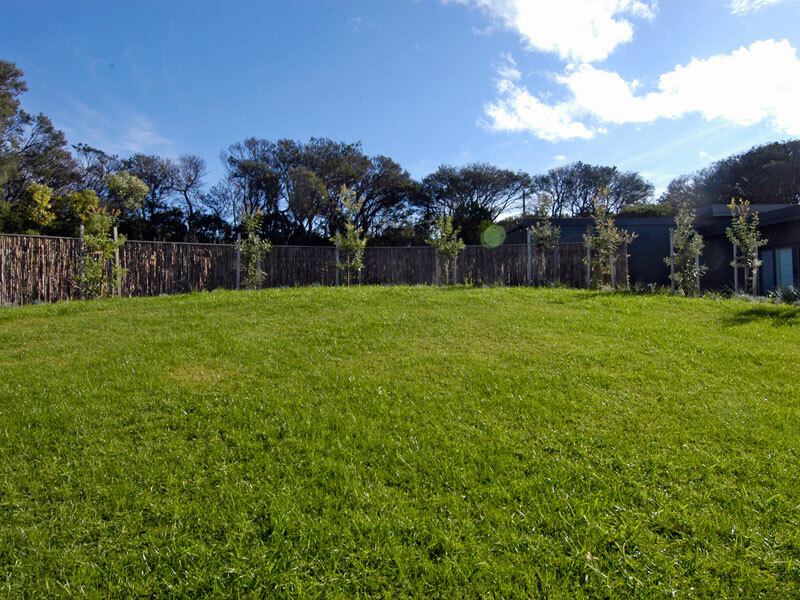 Large Coastal Banksias and Moonahs are the main feature trees used with uplighting around the central grass bowl to create nighttime ambience.